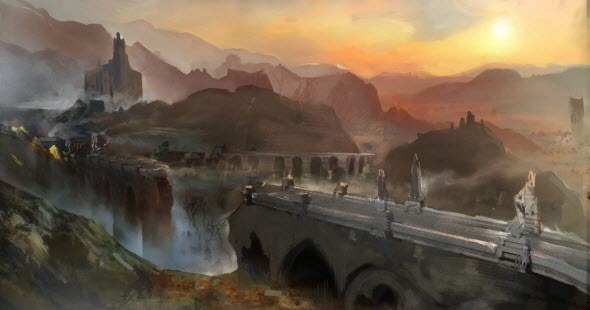 Dragon Age: Inquisition game - the next instalment in Dragon Age series, developed in RPG genre, - has recently got fresh concept art. Although the project has been under development since the end of 2011, but so far there haven’t been, unfortunately, a lot of news about it. That’s why the appearance of a fresh game’s picture will rejoice the fans of the series for sure. 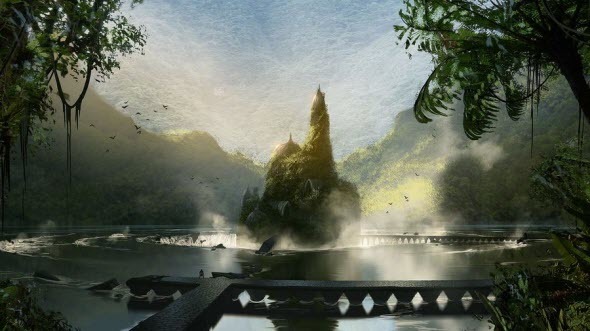 On the new concept art you can see one of the future game’s locations - a submerged ancient elven city - Arlathan, - which is situated in an incredibly beautiful area. In addition we would like to show you two more game’s concept arts, which appeared in the network a bit earlier, but weren’t published on our site. 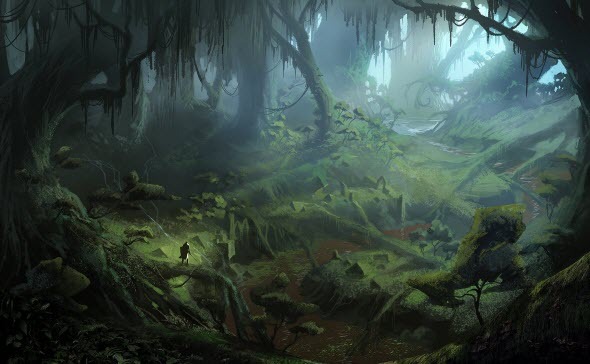 Thus, on two pictures, presented below, you see new locations - another one ruined ancient city and a very beautiful wildwood. We hope that these images have helped you to imagine, how the upcoming fantasy game will look like. In the meantime, we are reminding that Dragon Age: Inquisition game is being developed by Canadian studio - BioWare - and should be launched this fall for PC, the current and next-gen consoles. Here you will be the head of Inquisition, whose main goal is to eradicate the evil in the lands of Thedas. You'll travel through a huge fantasy game’s world, unravel lots of mysteries, gather the people for your organization and, of course, fight against the evil.